#Afridi wins the toss and @PeshawarZalmi will field! Good News for #Karachiets , Malik resigned from captaincy of #KarachiKings . #Bopara will be the new captain. جب جب پرچی نکلی ھے تب تب ملک کی بدنامی ھوئی ھے. آج بھی الله خیر کرۓ. Glad #Nabi is no longer playing for #QuettaGladiators or I would have felt bad supporting #PeshawarZalmi today. 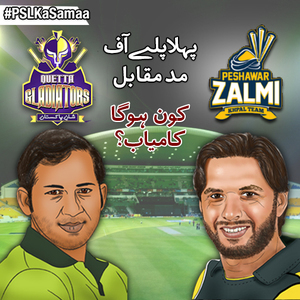 Finally the time has come for the first playoff of #PSLT20 . I am with, come on #Quetta . 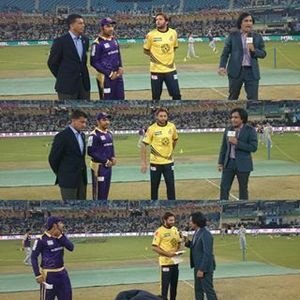 RT KhpalTeamPSL: Toss: PZ won toss and elected to field 1st. جو جیتے گا میں اسکے ساتھ ???????????????? Hafeez, Kamran Akmal(w), Shahid Yousuf, Hodge, Bairstow, Afridi(c), Sammy, Wahab Riaz, Asghar, Tait, Hasan Ali. Nahi Chalay ga is baar.